The “Strengthening qualification of persons providing social protection services to children and youth from Moldova” project was successfully completed! June 2016 The “Strengthening qualification of persons providing social protection services to children and youth from Moldova” project was successfully completed! 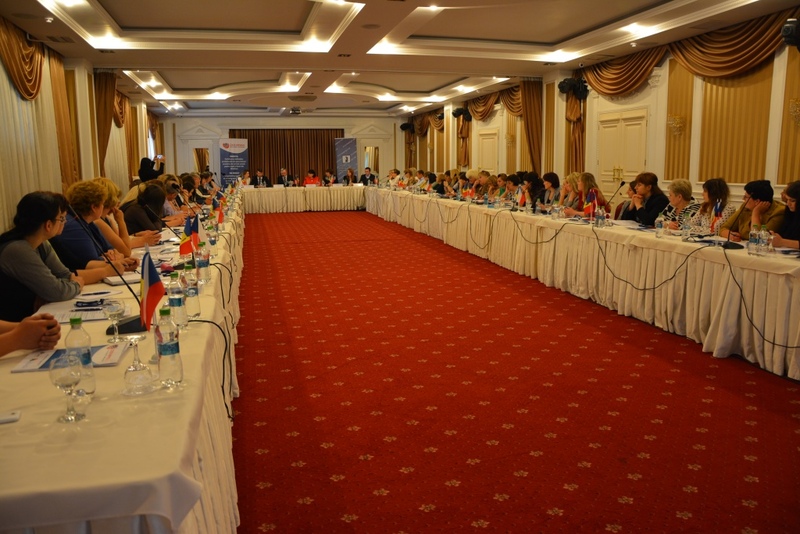 On the 14th of June 1016 took place the final conference of the ”Strengthening qualification of persons providing social protection to children and youth from Moldova” project. 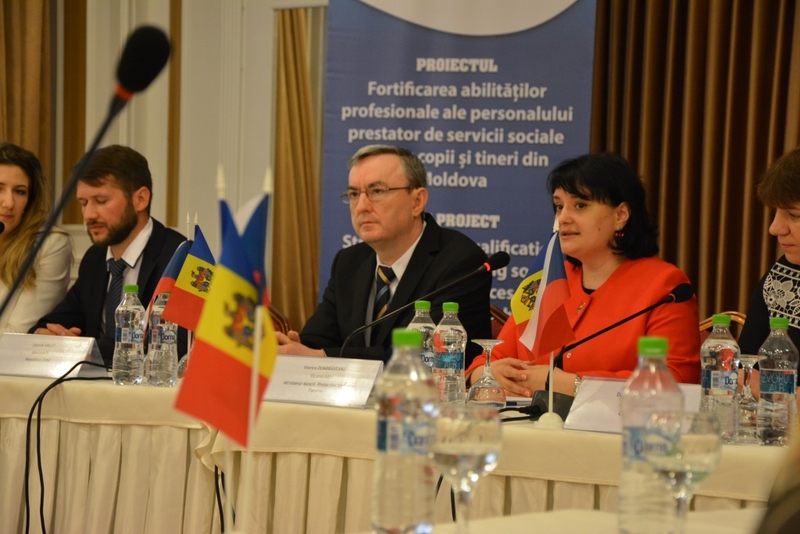 The event was attended by Mrs. Viorica Dumbrăveanu, the vice minister of the Ministry of Labour, Social Protection and Family, His Excellency Mr. Zdeněk Krejčí, the ambassador of the Czech Republic to Moldova and the representatives of Caritas Czech Republic and the Centre for Investigations and Consultation “SocioPolis”. 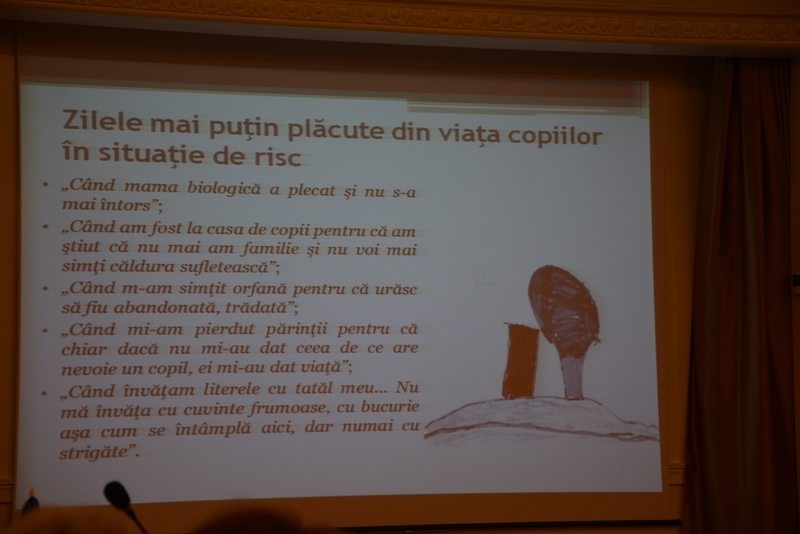 During September 2014 – June 2016, the Centre for Investigations and Consultation “SocioPolis” and Caritas Czech Republic in collaboration with the Ministry of Labour, Social Protection and Family had implemented the “Strengthening qualification of persons providing social protection services to children and youth from Moldova” project. The project was funded by the Czech Development Agency. This project was designed to contribute to enhancing the knowledge and qualification of persons providing social services to children and to ensure the knowledge transfer based on standards, best practices and international experience in raising and educating children left behind and children at risk. 906 specialists, dealing with the protection of children left behind and children at risk have benefited from training. The professionals that benefited from training include: professional parental assistants, parent-educators from Family-type Children Homes, managers, psychologists, social workers, psycho pedagogues, social pedagogues employed within centers for temporary placement, day care centers, community centers and multifunctional centers, specialists from territorial units of social assistance and child protection. ·Topics related to taking care of caregivers’ health by acquiring new techniques to prevent occupational stress. 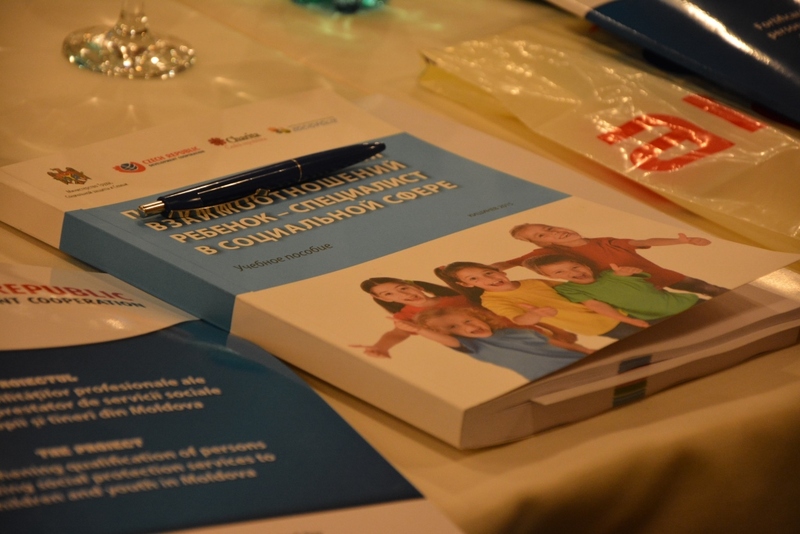 The Course Support „The psychosociology of the relationship between the child and the specialist providing social protection services” can be downloaded here.